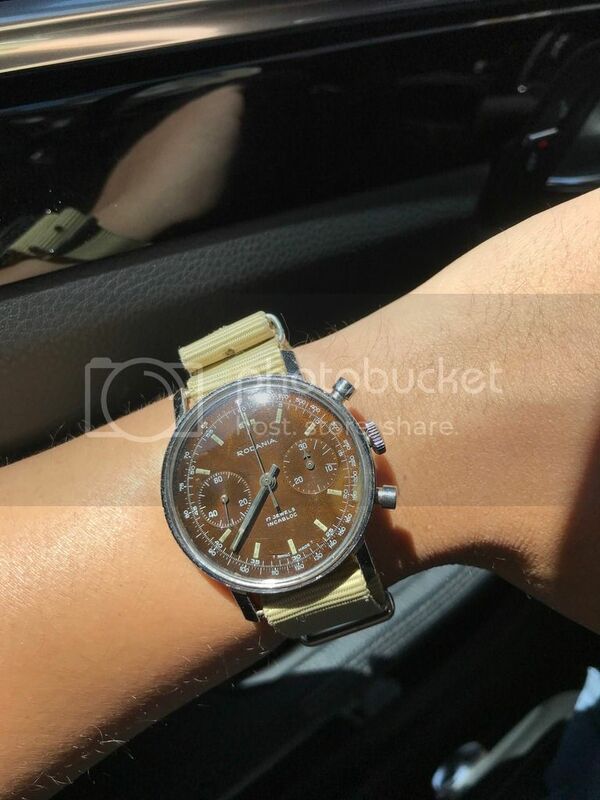 This is a tropical rodania chronohraph, the dial has churned a beautiful brown. It measures a healthy 38mm chromed body in excellent condition. I only know how to post one picture, so please feel free to email me for more. The watch is located in Singapore and it is priced at $850 USD or Best Offer, including shipping. Paypal only.